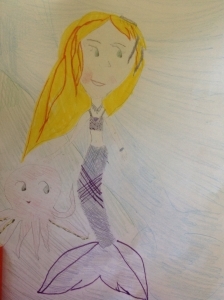 Story and mermaid art sent to us by our FinFriend, Ava. We really enjoyed your story and we think our FinFriends will, too! Thank you so much, Ava! Hello, everyone! 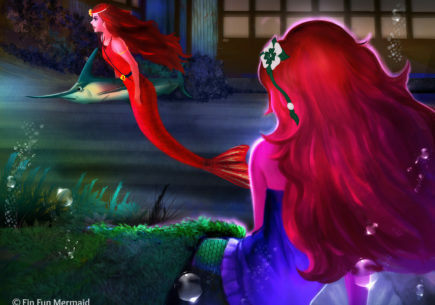 I’m Mermaid Ava. 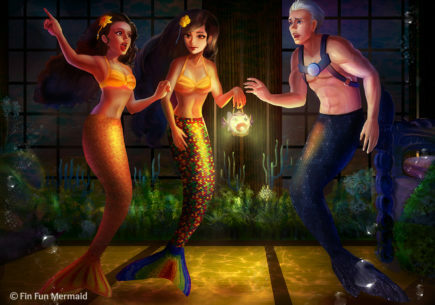 I’m not a Mermaiden, but I have had lots of royal encounters with mermaid princesses like Crystal and Jia. I want to tell all land people of my many adventures. 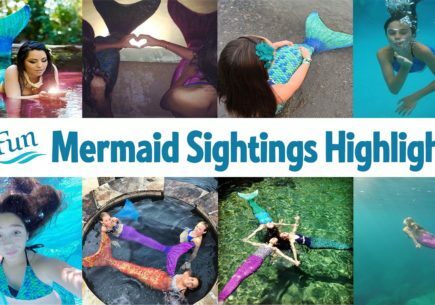 I travel all over the world with my mermom and merdad, which is where I meet the different mermaidens and have adventures. I met my best finfriend in Hong Kong. She’s an octopus! Carla and I always have so many discoveries together. I found her exploring. She had swum into a cave and been blocked in! We have splashed together ever since. Carla is always laughing. One thing I like to do is collect souvenirs from all of the places I traveled, like my bracelet with a real shark tooth on it, but that’s a different story. I’m so excited to tell all of you land people about my adventures! We are going to have a splashtastic time! Swim with you later! My mermom tried to console me. She felt bad because we were moving–AGAIN! My parents were always taking me to some new place for their jobs and I never got the chance to make any new friends. My merdad tried again, “This will be fun, there are lots of fun fish in Australia.” They swam away and I was left with Carla, my best finfriend. She always stuck with me, no matter where we went. At that moment, she was exhausted from our long swim to the Coral Sea. My merdad tried again. “This will be fun. There are lots of fun fish in Australia.” They swam away and I was left with Carla, my best finfriend. She always stuck with me, no matter where we went. At the moment, she was exhausted from our long swim to the Coral Sea. Carla gratefully settled down and I swam through the reefs. Behind a large hedge of sparkling purple coral that matched my tail perfectly, I saw a swordfish and a shark arguing loudly. “Those are my shells! I found them!” snarled an enormous Tiger Shark. “No. I found them yesterday! You’re lying!” retorted the swordfish. The boisterous shark began turning red with fury. “Give me those shells if you know what’s good for you!” he threatened. The two sea creatures charged at each other. Without thinking, I swam in between them. SLAM! The two animals crashed into me on both sides. 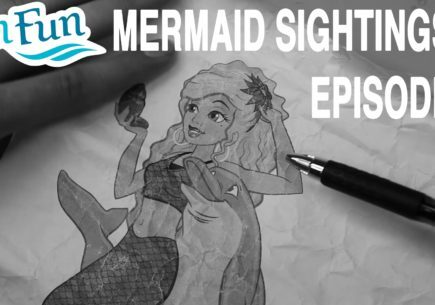 One of the shark’s teeth was even knocked out as my world faded into darkness. . . .
“Are you alright, mate?” a mermaid anxiously looked down at me. Next to her, a turtle peered into my green eyes. “I’m fine,” I said, rubbing my head. Without another word, I swam off. How embarrassing! So much for making new friends. That night, I propped up a book against the squid ink jug and began reading “Australia’s Pearl: A History of the Coral Sea.” I always tried to learn as much as possible about where I lived so that I could fit in. I gasped in surprise. 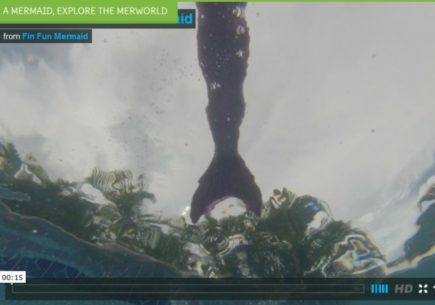 There was a picture of the mermaid and turtle that had helped me earlier! I had spoken to a princess! In all of my excitement, I began to get worried. The fight that had broken out earlier could be bad. I found Carla, and we swam frantically around the reefs until I spotted the princess counting with her eyes closed for a game of hide-and-seek. Gasping for breath, I explained everything. “And I think something really bad is going to happen!” I finished. I kept that bracelet forever and wore it everywhere as a reminder of Princess Zoey and the peace she brought all sea creatures. Hay guys guess what! 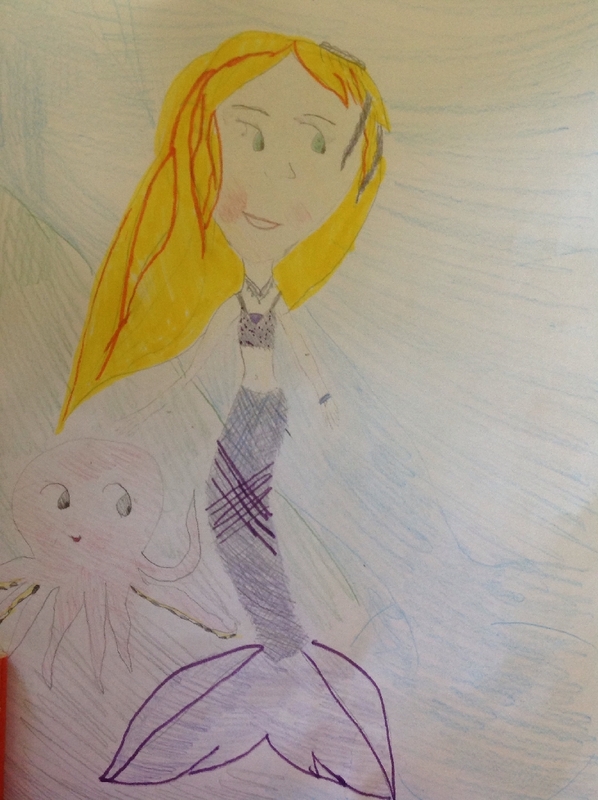 I’m making a mermaid story too! 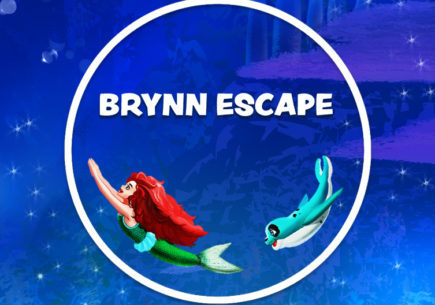 Its going to be like a movie latter in my life it fetchers all the mermaidens and its a true story and Brynn finds someone she didn’t even know existed! And i’m going to send it to finfun once i’m finished with it!!! Oh! And could you tell me if u have any ideas for it that would be fintastic and tell me if you think the story sounds good and bad and tell me why. 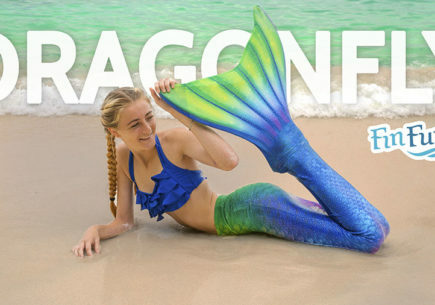 Whelp bye hope you mermaid lovers like my story once I send it to finfun!!! I really liked the story. It was very creative! How can I get mine featured without using instagram? I love the story but how can I send MY story!? My story has been in me for a while and I would like to share it! My story is I found my mom’s lost (very expensive) bracelet and she was VERY happy. She told my grandmother to call Santa Claus and tell him I’ve been VERY good! 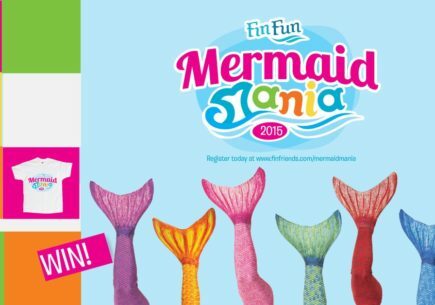 I had been begging for a Passion Pink mermaid tail and monofin jr. and I got it on Christmas 2012! Once the tail grew small it soon became a Jia’s Asian Magenta tail just the right size and i got a new monofin.